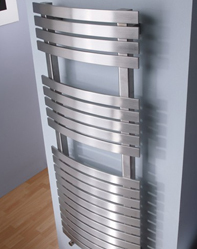 A central heating system consists of all the pipework and radiators that are connected to the boiler. The boiler provides the heat but, it's the pump (Circulator) that moves the heated water from the boiler through the pipework to the radiators, and back to the boiler for re-heating. 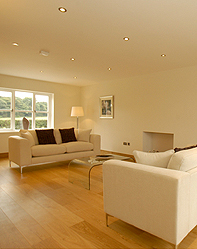 Your London Gas engineer will be able to help and advise you choose the best system for your home. The term for any boiler that uses a pump to move all the heat from the boiler to every part of the system is â€œfully pumpedâ€�. As a rule one pump is used to circulate the water through valves which divert the flow to the relevant part of the system. With fully pumped systems you have a lot of control over what gets warm, at what time and to what temperature you desire, providing to correct controls are fitted. All types of boilers can be fitted with this system. These boilers provide both instant hot water and central heating, but not at the same time. They are â€œhot water priorityâ€� which means when hot water is being run there is no heat output to the radiators. There is no need for a cylinder with this system and they are very cheap to run. All London Gas installers will be able to service, repair and maintain these systems. Combination boilers are ideal in smaller homes where space is at a premium or where the demand for hot water is not too great. Gravity hot water is just that, when the clock is in the on position the boilerâ€™s burner (Cast Iron) lights and a large volume of water is heated up. Because hot water is lighter than cold water, the hot water from the boiler rises up to the cylinder and the cooler water (heavier) drops back to the boiler. If the room thermostat is calling for heat this simply switches the pump on, circulating the heat to the radiators. It is not possible to have heating without hot water. 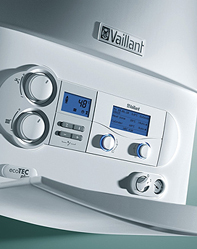 Usually no cylinder thermostat is fitted so the only temperature control for the hot water is the boiler thermostat. This type of system can be expensive to run. This means the heating of the water and the heating of the radiators are done by different boilers, so for example a water heater would supply the hot water and a central heating boiler would supply the radiators. 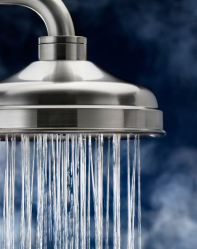 In a lot of cases the water heater is fitted first to get cheaper hot water than from an electric immersion heater. The only problem with this system is that it takes up two lots of wall space. This system turns conventional thinking on its head but it works extremely well. Basically, you have a well insulated cylinder that is kept warm 24 hours a day either by Solar Energy and a low water content boiler or an internal burner and pump that is controlled by a cylinder thermostat so the boiler will shut off once the store up to the desired temperature. This will cut in again quickly when temperature in the store starts to drop.